Professor Charles Forsdick – who is currently AHRC Theme Leadership Fellow for Translating Cultures – has recently organized and contributed to a number of events that have underlined the place of translation and multilingualism in Modern Languages. Much of his recent work has explored the ways in which Modern Languages can no longer adopt a monolingual approach to understand the cultures and societies we seek to study. Although high levels of linguistic competence in our chosen subjects are central to being an expert Modern Linguist, there is an increasing need to understand how languages co-exist, either in the dynamic processes of translation or in situations of everyday multilingualism. Earlier last month, Professor Forsdick spoke in Newcastle at a conference in honour of the US-based author of Dominican origin Junot Diaz. 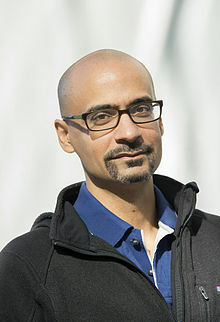 Author of the Pulitzer Prize-winning Brief Wondrous Life of Oscar Wao, Diaz writes works that exploit a range of registers within English (mixing academic references with the language of popular culture) and also draws on Spanish to create a literary effect that sociolinguists call ‘translanguaging’. 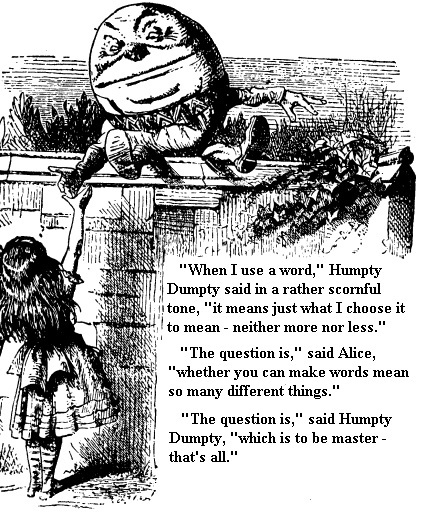 Professor Forsdick’s paper explored how Diaz is one of a number of contemporary authors who draw on a range of languages in their work to create literature that resists reduction to a single national context or a single form of expression. Diaz is interested in ‘the mongoose-like power of language, how difficult it is to contain’, processes evident in different ways in an event in which Professor Forsdick was involved on earlier this summer, devoted to Shakespeare in Europe and the Americas. 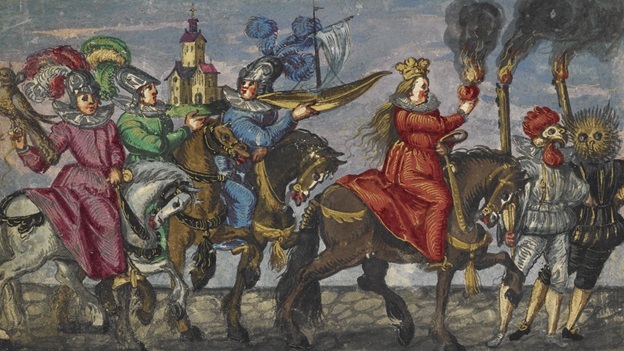 Organized by the British Library in association with the Translating Cultures theme, the workshop explored a range of translations of Shakespeare in a variety of different contexts. Professor Forsdick introduced and chaired a panel on postcolonial translation, with papers analysing the ways in which The Tempest has been recreated in Caribbean, Indian and Indian Ocean frames. This included a paper by Michael Walling of Border Crossings who presented the versions of Shakespeare’s work he had produced in India and London, the latter a translation of the Mauritian playwright Dev Virahsawmy’s Toufan. Walling’s emphasis was on the extent to which intercultural theatre permits a creativity that draws on different linguistic traditions and draws on the dynamism of multilingual situations. The links between translation, translanguaging and creativity were the subject of a Translating Cultures workshop that Professor Forsdick organized at the Institute for Modern Languages Research last month. Coinciding with the visit to the UK of Tong King Lee (University of Hong Kong), author of the recent Experimental Chinese Literature: Translation, Technology, Poetics, the event allowed presenters to reflect on the place of multilingualism in their creative collaborations with partners outside Higher Education, including schools, community organizations and theatre groups. The workshop involved representatives of all three large grants associated with the Translating Cultures theme –Translation and Translanguaging, Researching Multlingually and Transnationalizing Modern Languages – and suggested how Modern Languages might engage more actively and more creatively with the many languages spoken in the United Kingdom itself to underline the centrality of our subject area to culture, politics and society in the twenty-first century. 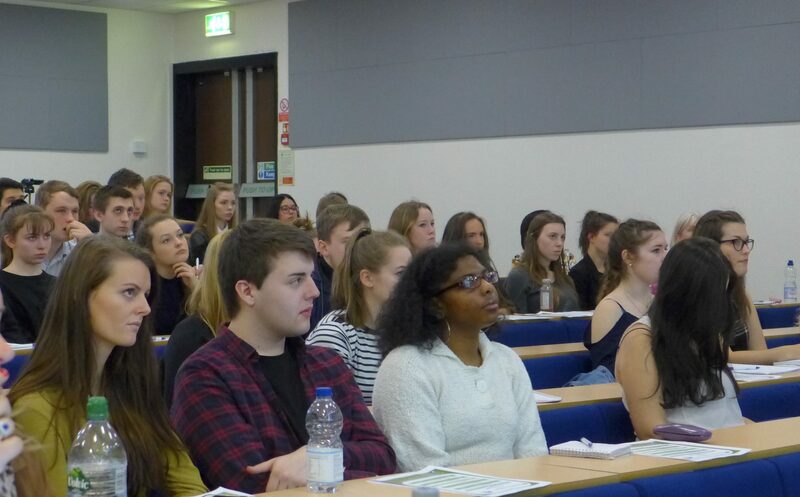 As part of the University of Liverpool’s commitment to the Routes into Languages project, Modern Languages & Cultures hosted their second annual Careers in Translating and Interpreting last month, which brought more than 130 people to Liverpool from across the north-west of England. The event gave an insight to those who are interested in translation and interpreting by providing them the opportunity to meet some of the most relevant professionals in the field in the UK, such as Myriam Salama-Carr, Director of the National Network for Translation; Helen Campbell, Director of the National Network for Interpreting; and Paul Kaye, Language Officer at the European Commission in London. 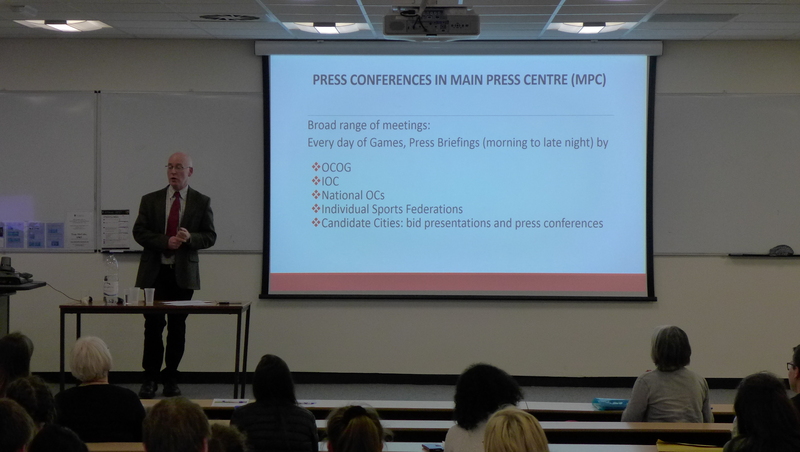 The participants also had the opportunity to have a first-hand information on practical issues from Kirsty Heimerl-Moggan (who summarized her experiences as a conference interpreter), Graham Webb and James Peel (who shared their experiences and knowledge as freelance translators), and Karl McLaughlin who explained as what really involves and it is needed to be an interpreter at the Olympic Games. The event proved very popular with the attendees. The session closed with a book launch for the volume Challenges and Opportunities in Public Service Interpreting, written by Théophile Munyangego, Marina Rabadán-Gómez and Graham Webb. Ms Rabadán-Gómez, from Modern Languages & Cultures, was accompanied in person by Mr Webb for the launch of the book. Later this month, Dr Lyn Marven will take part in a public conversation with German author Ulrike Draesner at Senate House in London. 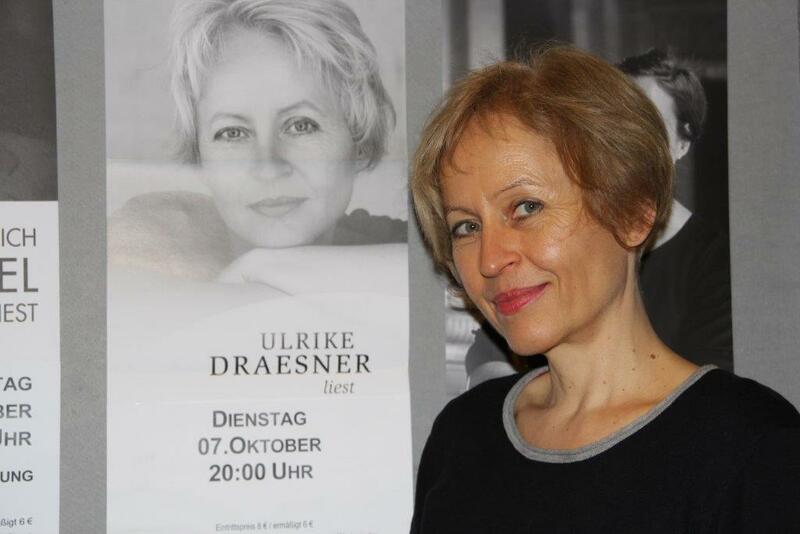 Novelist, essayist and poet Ulrike Draesner’s first collection of poems, gedächtnisschleifen, appeared in 1995. Since then, she has published copiously, most recently the novel Sieben Sprünge vom Rand der Welt (2014), the collection of poems subsong (2014) and Mein Hiddensee (2015). She has received numerous prestigious awards for her work and is currently a Visiting Fellow in Oxford for the academic year 2015-16. Dr Lyn Marven translated a short story by Draesner for her collection Berlin Tales (2009), and will translate for the event an extract from the short story ‘Rosa Käfer’, a modern rewrite of Kafka’s Metamorphosis (Die Verwandlung). In April, Lyn will also speak on short stories at a symposium on Ulrike Draesner’s work in Oxford, where she will also lead a translation workshop with the author herself. 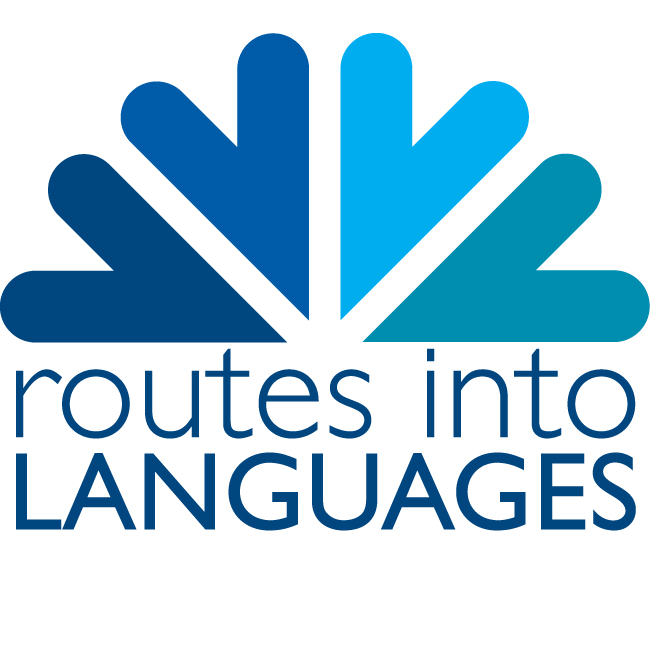 The event is part of the Encounters: Writers and Translators in Conversation series, organised by the Institute of Modern Languages Research and the University of Nottingham. Lecturer and translator Dr Lyn Marven (German) is to take part in a new translation mentorship scheme run by the British Centre for Literary Translation and the Translators’ Association. The scheme, in its second year, supports talented up-and-coming translators by pairing them with mentors for six months. This year the languages included in the scheme are: Arabic, Catalan, Chinese, Dutch, German, Italian, Japanese, Polish, Russian and Spanish. The programme is sponsored by the Foyle Foundation and the Calouste Gulbenkian Foundation UK, and the German mentorship is supported by the Austrian Cultural Forum. I was delighted to find out I had been selected for the mentoring scheme, and especially when I heard who I’d been partnered with. Having already worked with Lyn on a translation project last year, I am very much looking forward to sharing ideas and learning from her experience in the world of literary translation. I’ve been concentrating on translation full time for a couple of years now, and am sure this partnership will inspire me even further to pursue new projects and raise my profile as a translator. 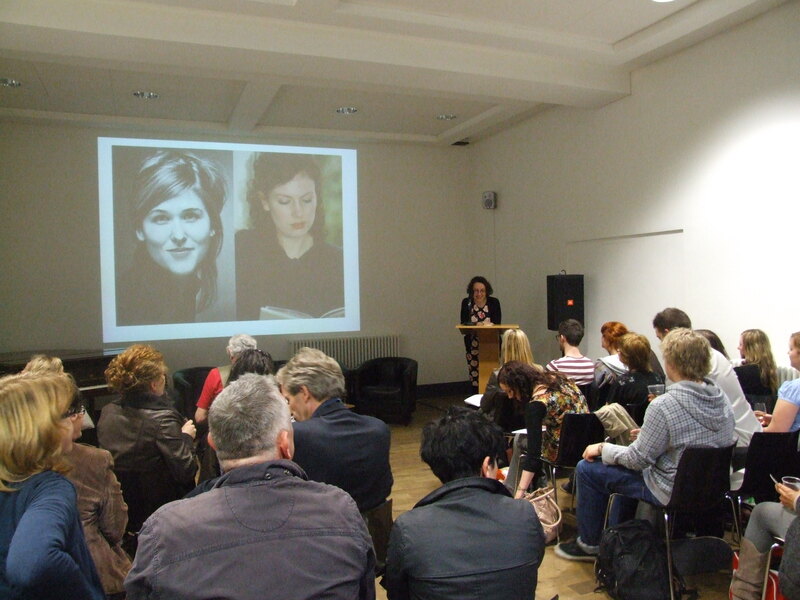 As part of the DAAD-funded Writer in Residence programme, Larissa Boehning and Manchester-based author Zoe Lambert gave a joint reading at the Bluecoat in Liverpool on Thursday 31 March. 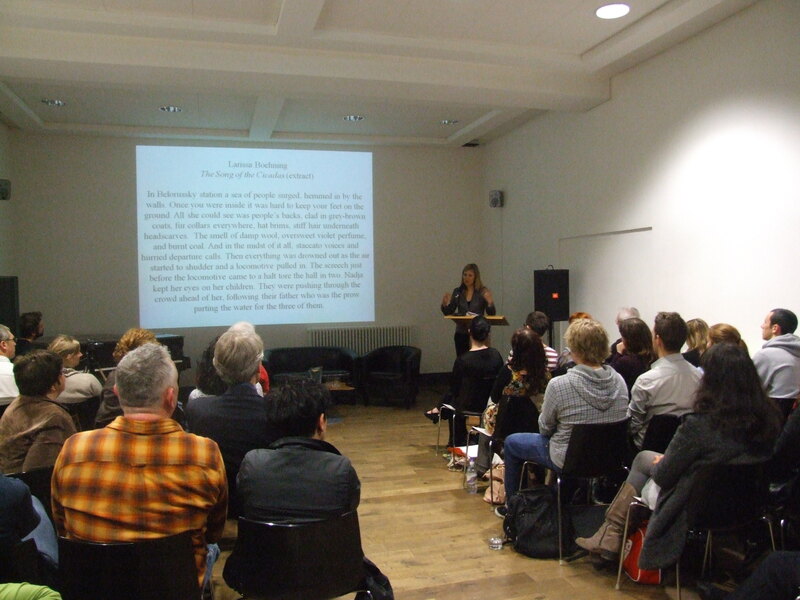 The evening, ‘A Tour of History: Between War and Wishful Thinking’, was a sell-out success! Introduced by Dr Lyn Marven of SOCLAS, Zoe and Larissa each read from their forthcoming publications, and then discussed their work with the audience. Zoe gave us a chilling taste of a child soldier’s experience of war in DRC, while Larissa read in both German and English*, transporting us to Moscow in the 1930s in the footsteps of a family fleeing to Germany. The question and answer session afterwards encompassed the role of history, family experiences, campaigning work, loneliness, translation, research and inspiration for stories, as well as planes, trains and automobiles! The “Tour of History” event with the University of Liverpool’s German Dept’s writer-in-residence, Larissa Boehning, and one of the NW’s most exciting up-and-coming prose writers, Zoe Lambert, was fascinating and a pleasure to be involved in. As well as introducing high quality new work in English and German to a packed house, the event showcased the importance of Manchester-based independent publisher Comma Press, who champion excellent new English and foreign language authors with their innovative anthologies and single collections. You can read more about the evening at the Bluebird’s blog. Zoe Lambert’s collection of short stories, The War Tour, will be published by Comma Press in the summer. Larissa Boehning’s novel Das Glück der Zikaden (The Song of the Cicadas) will be published by Kiepenheuer & Witsch in the autumn. Photos (c) reproduced with kind permission of the Bluecoat. * English extract translated by Lyn Marven.